For your peace of mind, whether you are away for a quick minute or all day, let others know your animals are inside or in the yard. The sign alerts firefighters, police or neighbors in an emergency that there are "others" in need of rescuing. Adheres to any clean glass surface. Place on any outside window area. 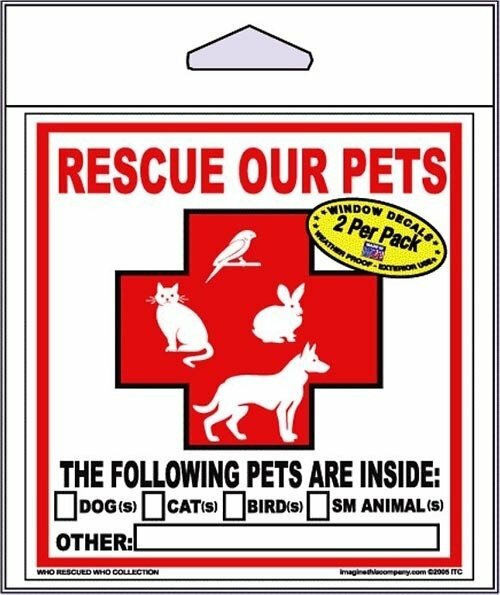 Use it on every vehicle, RV, anywhere your pet may travel or live.